Do you need long distance towing? Imagine driving a car in Texas, and then it suddenly stops running. It may have flat tires or dead battery. However, there is only you and your car around. What is worst is that you need to take your car long distance, be it for an urgent business or a trip. Now, you may be thinking of leaving your car, but that might put you in big trouble later. As you may know, it is unsafe to leave it, especially in non-traffic areas. 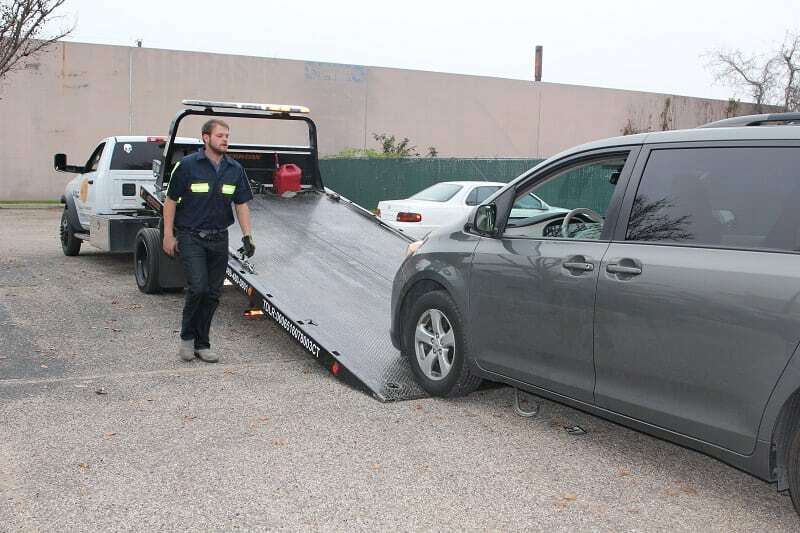 Perhaps you’re thinking of waiting for someone to help tow your car, but that’s not a good idea especially you’d like your car transported miles away. Or perhaps, you want your car shipped or transported to another city or state. What’s your best bet in any of these situations? It is long distance towing by 360 Towing Solutions and their network of licensed affiliates. With us, you don’t need to stress about long distance towing whether it is across the state or country! We will transport or ship your car safely and conveniently. You don’t have to look for other services. We’re here to transport your car 24 hours a day, no weekend offs or holiday breaks. 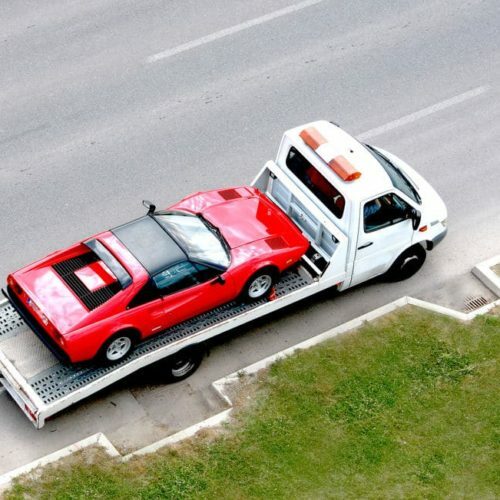 What Kind of Long Distance Towing Services Are Offered? Our company offers all types of towing services, long distance or local towing as well as heavy-duty or light towing. Aside from these, we also cater to accident removal, emergency towing, motorcycle towing, flatbed towing and so many more. We have a skilled and experienced team for these services, guaranteeing your car’s safety or preventing it from further damage. Our services also come with 100% satisfaction guaranteed. We and our network of independently owned and licensed affiliates have an adept and seasoned technician that can identify the problem in your car and get it back to full running condition for whatever problem it has on it, including dead battery replacement or jump start battery, off-road recovery, flat tire replacement, accident emergency or gas filling. With us, you do not need to take your car to a repair shop. If you’re locked out your car, you don’t need to stress and fix the problem yourself especially it won’t guarantee you a solution. 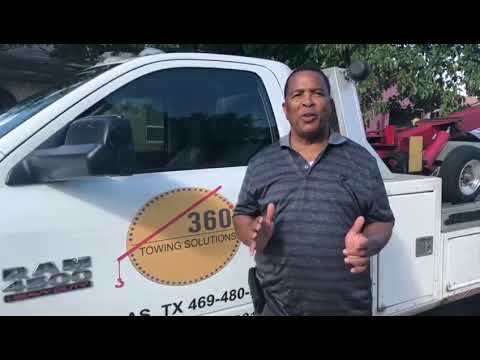 Give 360 Towing Solutions a call and we can help you get out of the frustrating situation. Our team offers car lockout services at affordable prices and with efficient solutions. We can also provide you with key re-programming, lock repair, key cuttirekeyingd rekey services. We have a streamlined towing service. 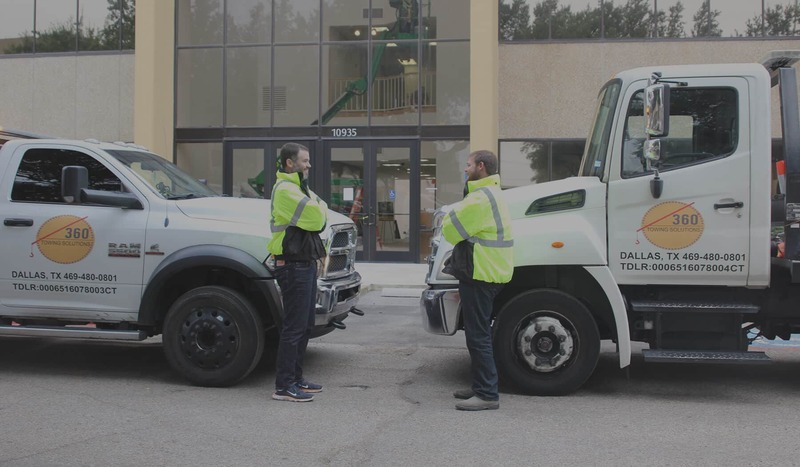 Once our technicians get to your location, we’ll ask you questions for a better look at the issue and perform a vehicle checkup to determine if towing service is what you need or not. With a car checkup, you can save your money and time. 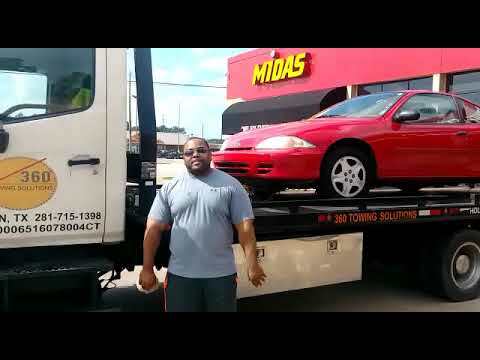 Long distance towing in Dallas isn’t the only service we can offer but also other general towing solutions for any car model, type and brand. While we know that some cars look alike, they have unique needs and features. We can assess and figure out these differences for a better solution for you. If you need to go home right away but your car or motorbike won’t start, get help from 360 Towing Solutions anytime of the day or night. We provide immediate services and arrive to your location fast so that you and your car will be safe especially when stuck in the middle of nowhere and late in the night in a less crowded area. Our team is available whenever you’re stuck in an emergency and need to get out of it. With us, there is reliable help you can count on no matter the time of the night. Whenever you’re faced with such as challenge, don’t think twice but seek assistance from us. Our company services the entire Dallas region and Texas country, including Houston, San Antonio, FW and Austin. With us, you can rest assured that help is coming whenever you need it. We offer different long distance towing services, which aren’t like those from regular towing companies. These companies are those you would call if you’re stranded and want to take your car back home or to a repair shop. They do not travel long distances not to mention offering their services at high prices. With 360 Towing Solutions, and their network of licensed affiliates experts you’re assured of competitive prices. We also won’t drag your car on our wheels using a traditional truck that would scoop up a side of your car. Our team will transport or ship your vehicle from one city or state to another. We don’t only provide topnotch towing solutions but also the most competitive rates in the industry. Our team is strongly driven yet also fair in offering the best and most affordable towing solutions in the entire Dallas and surrounding areas. With our long distance towing solutions, you don’t have to worry about hidden charges and unexpected surprises – all rates are inclusive of all fees. Our group is strongly driven by a mission to serve as the best vehicle towing service provider throughout Dallas as well as neighboring areas. We and our licensed affiliates always see to it that every single call for our road assistance will be fulfilling and worth testifying for by every customer. As part of our commitment to our valued clients, we continue to adopt innovative methods in order to ensure that you will be served only by the best.